Alor is spoken of in hushed tones amongst scuba divers. Few places on Earth have such a plethora of reef fish and have amassed such healthy and vibrant coral reefs as this mid-sized island in far eastern Indonesia. Although currents can be strong at times, it’s the motion in the seas that draws in such huge numbers of fish. Alor boasts some of the best visibility for divers in the world, so the colours of the fish and coral really come to life, even below a depth of 15 meters. I recently had the opportunity to go scuba diving in Indonesia for 2 weeks with the Ministry of Tourism Indonesia and Wonderful Indonesia. I can honestly say that it was one of the most epic trips I’ve ever done! The “Trip of Wonders” as it was called, took us to 3 different dive locations all across Indonesia. Alor Island was our first stop and it easily had the clearest water and healthiest coral life of the entire trip. In this article I’m going to explain the logistics of planning a dive trip to Alor so that you too can experience the incredible diving in this region. Indonesia is often cited as having the best scuba diving in the world and many of the top 100 dive sites are located in the azure waters of the Coral Triangle. 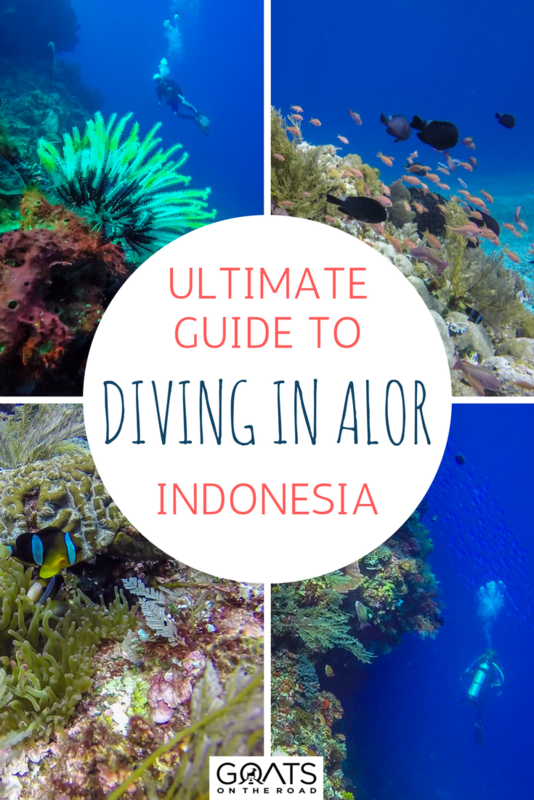 NOTE: Don’t miss our Diving in Alor Video at the bottom of this post! 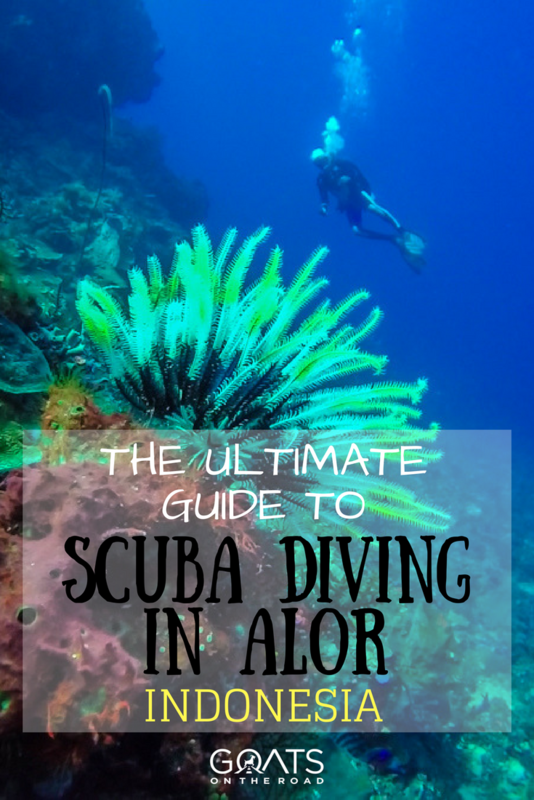 There are literally dozens of dive sites to choose from around Alor. We managed to fit in 6 amazing dives in 3 days, but you could easily spend a week and not see all of the sites on offer here. Below I’ve listed a few of my favourites. You won’t want to miss this one! A shallow reef wall drops off to 28 meters, with most of the action happening between 15 – 25 meters. The coral and fish life here is bewildering and there are numberous photo opportunities for both macro and wide-angle lenses. I’ve probably never seen so many different species of reef fish in one place. In the shallows here, you might be lucky enough to see Bubu fishermen retrieving catches from their traditional bamboo woven traps. Check out this quick video of the traditional fishing methods of the Bubu fishermen. Another fantastic dive site, Mike’s Delight is a slow drift dive (depending on currents) reaching a maximum of 25 meters. We saw 5 sea snakes, lobster, lion fish, tons of box fish and countless other reef fish. 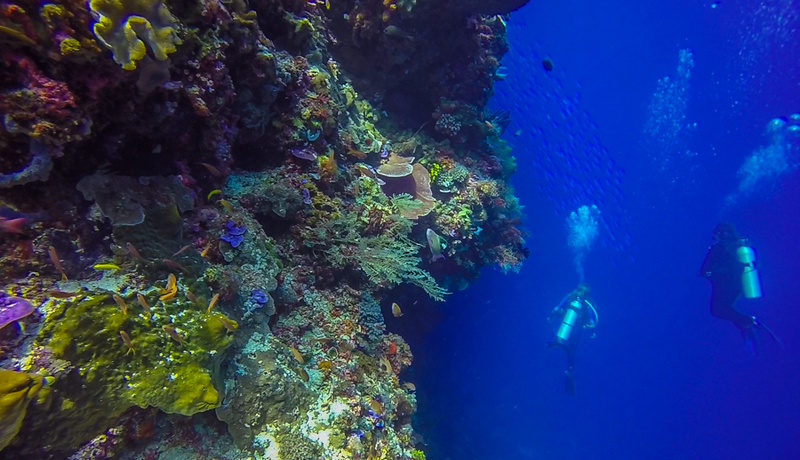 The aptly named aquarium is probably the most visually stunning dive in Alor. The amount of fish here rivals Babylon, but the clarity of the water and the colour of the coral is simply spectacular. The dive site is along a drop off that goes down to around 30 meters. Another dive site that’s appropriately named, clown valley is known for having the highest concentration of sea enenomes anywhere in the world. Not surprisingly, there are also countless clown fish who find refuge in the swaying tentacles of the brightly colored soft corals. You’ll literally see hundreds of clown fish on this dive. This dive site gets its name because, depending on what time you finish your dive, the children from a nearby school in the village often come down to greet the divers! They swim down as deep as they can with their hand carved wooden goggles and play in the divers’ bubbles. A truly amazing dive experience. On top of adorable kids, School’s Out dive site offers a beautiful slow drop to 30 meters with plenty of soft corals, sharks, octopus and of course, an uncountable number of reef fish. 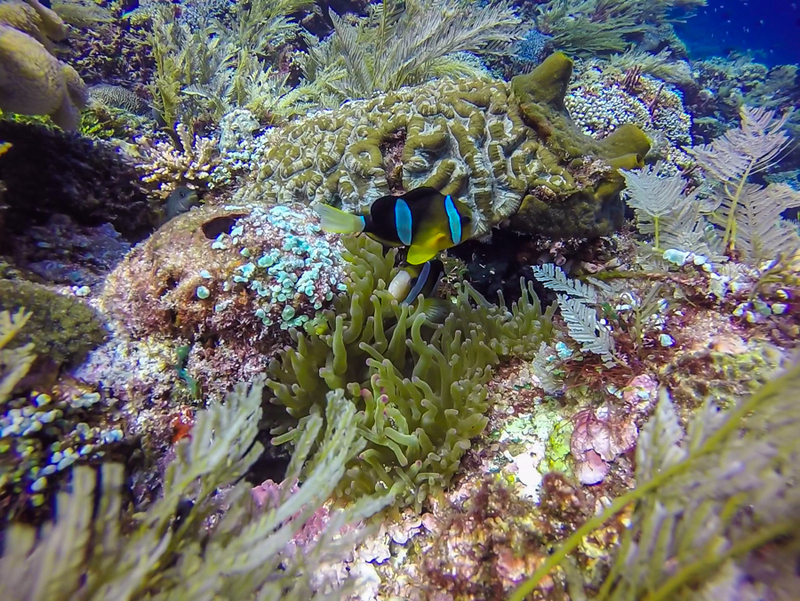 Again, the population of small fish on these reefs in Alor is truly spectacular. This is said to be the best dive site in Alor and unfortunately, due to currents, we had to skip it! Kal’s Dream is a stunning, coral-crusted sea mount where you often find large pelagic. The sea mount is named after Kal Mueller, the famous author of “Underwater Indonesia” and “Diving Indonesia”. 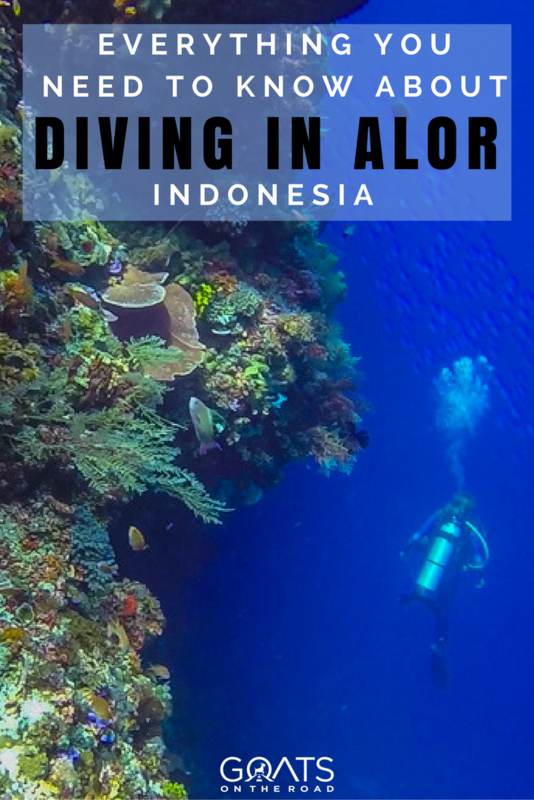 The main thing you need to know about diving in Alor is that the currents here can be ferocious and many of the dive sites are inaccessible from time to time due to strong currents. Whirlpools often swirl in the waters around here and gain enough force to sink massive cargo ships. Diving with a reputable dive shop is extremely important you should know that your dive plans will likely change due to conditions. Don’t force it, trust your dive guide and you will be completely safe diving here. We dove with Pulo Alor. Donnovan (an Australian dive instructor who has been diving Alor for 18 years) was our dive guide and he was safety-focused, professional and fun to hang out with. We highly recommend seeking him out. 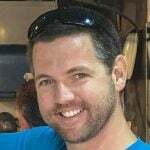 I highly recommend having a dive computer when scuba diving, for numerous reasons. Dive computers track your movements, how deep you are, how long you’ve been down and how fast you can ascend. Rather than having to figure out your no-decompression time yourself, the computer handles that. As a bonus, it logs your dives. Get a dive computer and enjoy a safer time under water. Another thing that you should know about diving in Alor is that the nearest decompression chamber is in Bali, so it’s important that your travel insurance completely covers all of your diving risks including airlifting with a decompression chamber onboard. 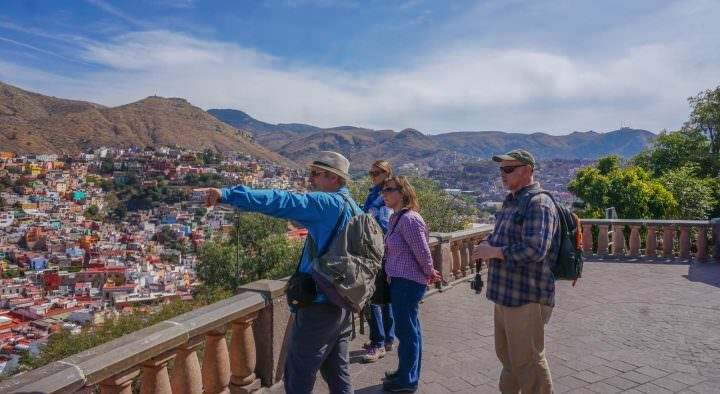 World Nomads covers numerous adventurous activities, including scuba diving. Click here to see the latest price on Amazon. 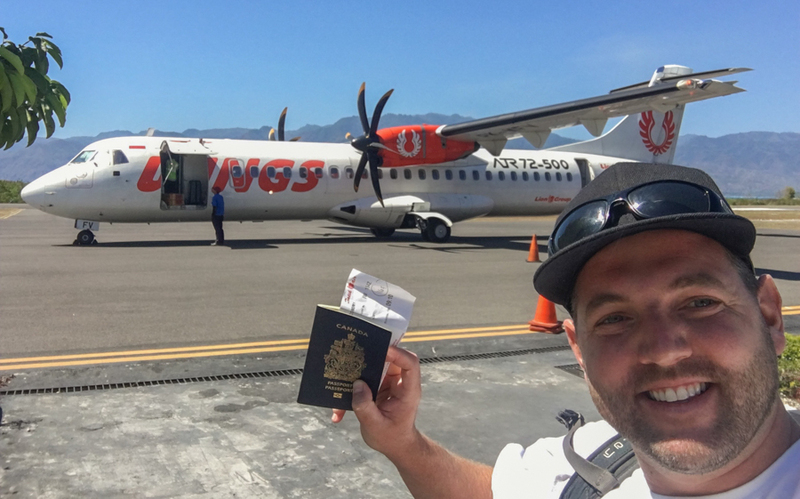 It’s pretty easy to get to Alor by flight from Bali with a stopover in Kupang KOE. The total flight time will be around 3 – 3.5 hours and the airlines will likely be Lion and Wings (both of which were okay in my experience). You can also fly via Meumere (MOF) and then hop on a liveaboard through Alor from there. The flight cost will likely be around $175 USD return, depending on the season you fly in. Comming from Jakarta, Surabaya or Denpasar (Bali) you reach Alor via Kupang (West Timor). Kupang is serviced by different airline companies (Garuda, Lion Air and Sriwijaya Air) daily. TransNusa and Wings Air offer daily flights from Kupang to Alor. There aren’t that many options for accommodation in Alor and Booking,com and HostelWorld don’t even list it for their hotels. We stayed at Pulo Alor Hotel, which was decent, but you can also find nice places on AirBnB. 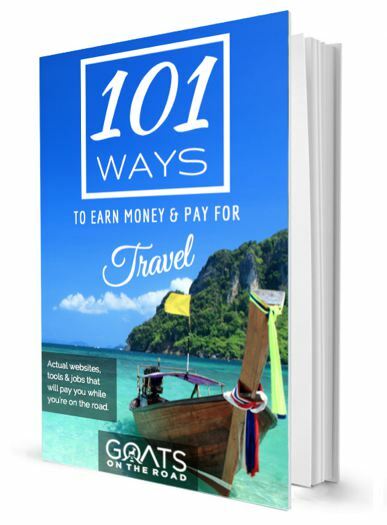 If you click that link you’ll get a free travel credit from Goats On The Road to go towards your first booking. 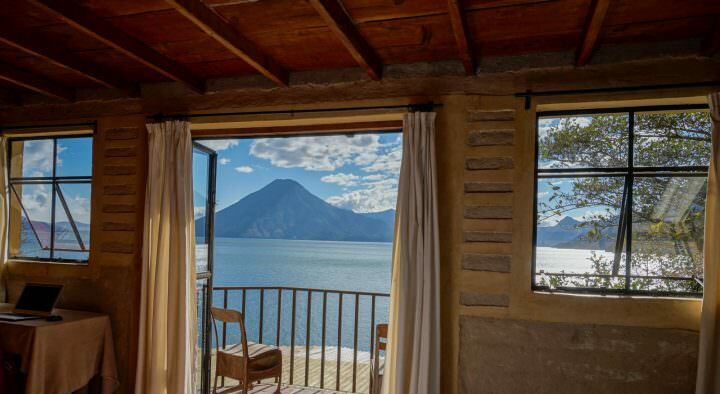 After claiming your free travel credit from the Goats, Click Here to see what’s available on the island of Alor through AirBnB. 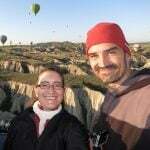 If you go with DiveAlorDive.com, they have a ton of different packages on offer, including accommodation and dive packages, multi-dive packages or single fun dive rates. Click Here to read their detailed price sheet for 2017. 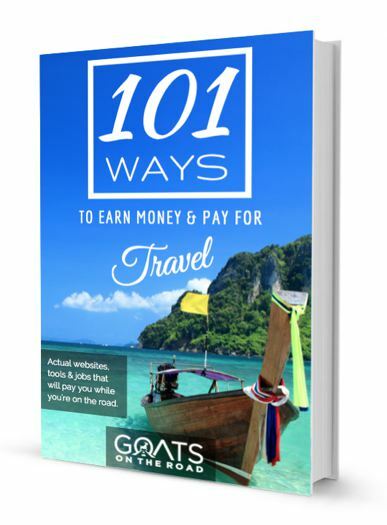 As an example, a 5 day 4 night package including 4 nights in Alor Hotel, 3 days of boat diving with 2 dives per day and 3 meals per day will cost 9 million rupiyah, which is about $675 USD at the time of writing. Other dive rates are in the link above. 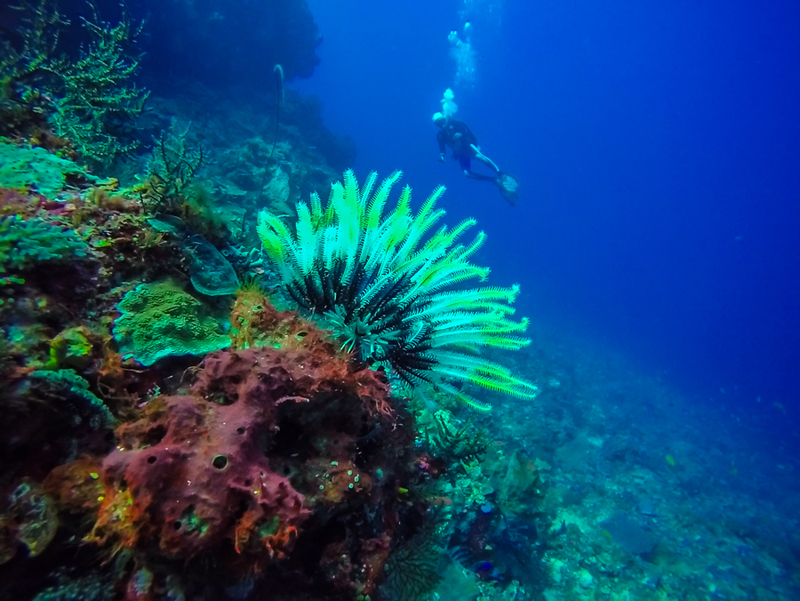 If you love having great visibility and enjoy incredibly colourful dive sites, Alor is for you. Out of the three dive locations we experienced on the Trip Of Wonders (Alor, Komodo & Raja Ampat), Alor definitely had the clearest water and the brightest coral. Had we seen Kal’s Dream dive site, I would’ve likely been raving about it as it’s where you’re most likely to see the big stuff! Unfortunately we didn’t make it there, but the diving was so good in Alor that I’ll return soon and hopefully have the opportunity to dive Kal’s Dream. Special Thanks to The Ministry of Tourism Indonesia and Wonderful Indonesia for putting together this incredible bucket list dive trip and inviting “The Goats” to take part! If you have any questions about diving in Alor, Indonesia, please feel free to contact me by clicking here. Wow! Thanks for giving us another reason to go back diving in Indonesia! 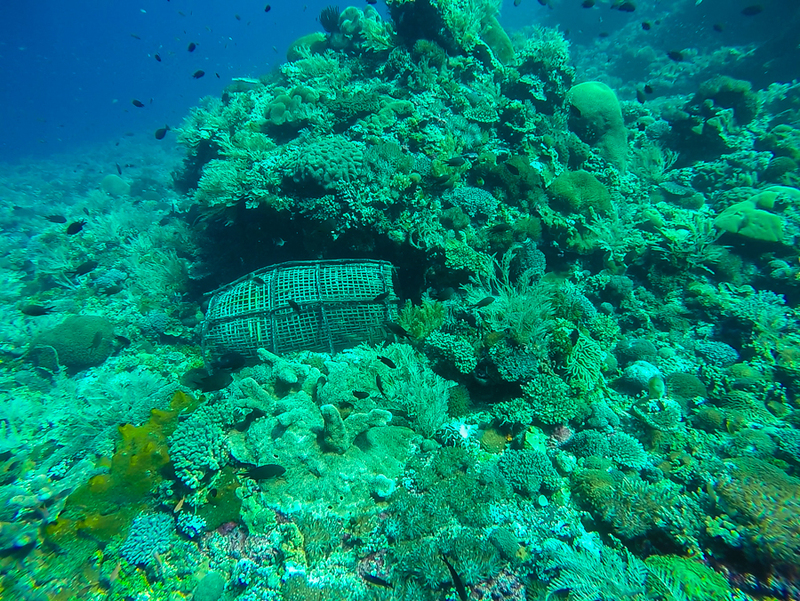 Alor seems a rather impressive place to go diving. Agree, so many fantastic dive sites across so many islands – we dove in Raja Ampat, Komodo, and Bali, and feel we only scratched the surface. Conditions tend to be rough though, we got luck in all 3 places that the current were not that bad, though we had to change locations in Komodo for the afternoon dive because of the stormy and rougher sea conditions. Nice post. Informative and helpful, very easy and actionable immediately.. Thanks for all the wonderful tips with depth details.